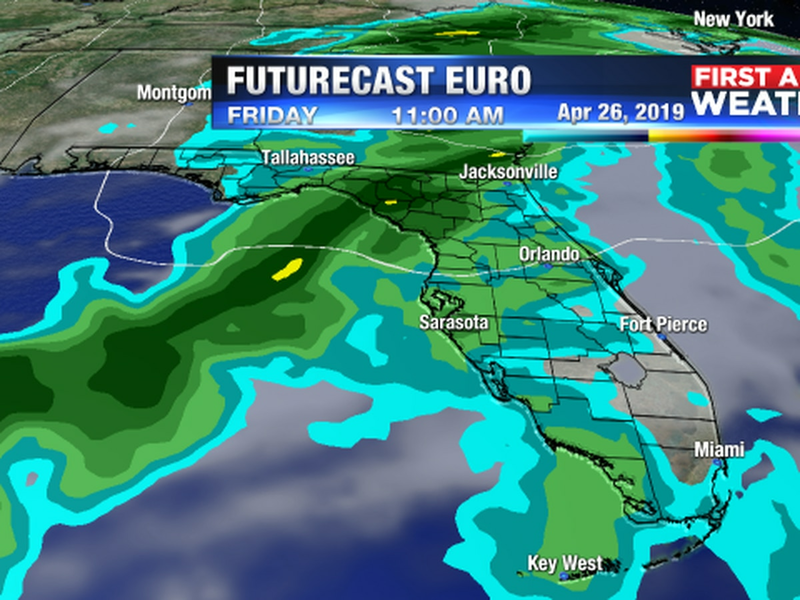 SARASOTA (WWSB) - Expect showers and a few thunderstorms overnight through Wednesday morning. 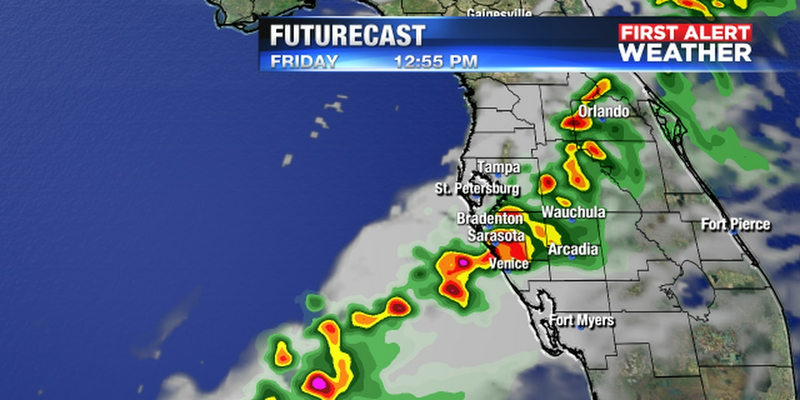 Some of the storms will produce some moderate to heavy rain at times. The timing of the strongest cells will be in the early morning hours out ahead of the actual cold front. It doesn’t look like we will see anything too rough but an occasional gust up to 30-40 mph is possible with these storms. Expect periods of showers and a few isolated thunderstorms overnight mainly during the morning hours on Wednesday. Expect mostly cloudy skies throughout the day with temperatures holding steady throughout the day in the mid 60s. Wednesday night clearing skies and turning cooler. Lows will be in the upper 40s to low 50s along the beaches on Thursday morning. Thursday sunny skies and highs slightly below seasonal averages. The high right around 70 degrees. Friday we start off in the upper 50s and warm into the mid 70s by the afternoon. Skies will be partly cloudy throughout the day. The weekend is looking good with mainly variable clouds on Saturday and only a 20% chance for a shower or two. 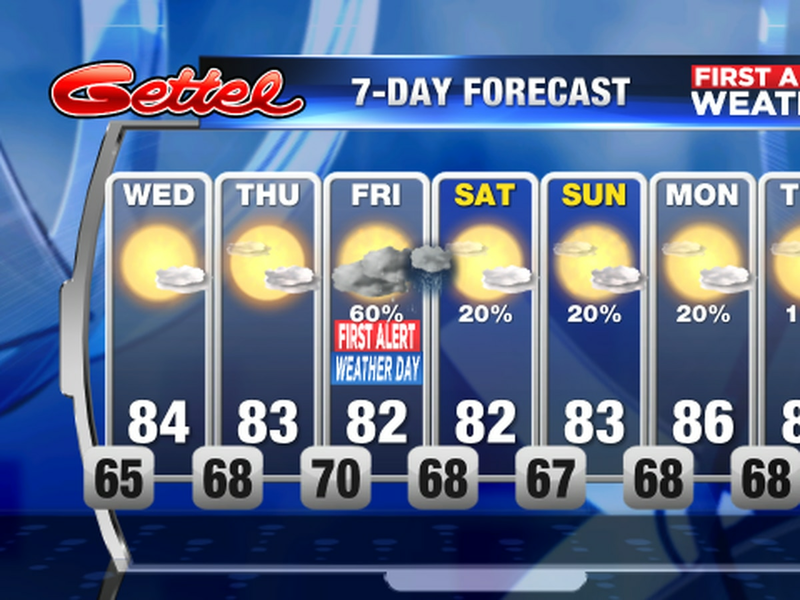 Sunday will be partly cloudy and warmer with a high near 78. 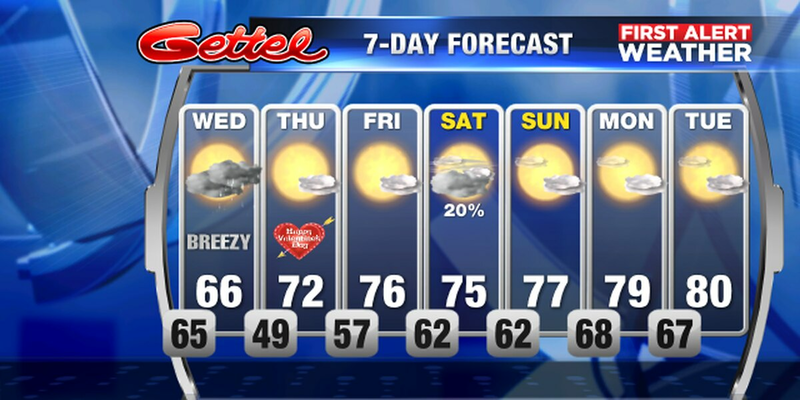 The warm weather will stay with us through early next week with highs around 80.